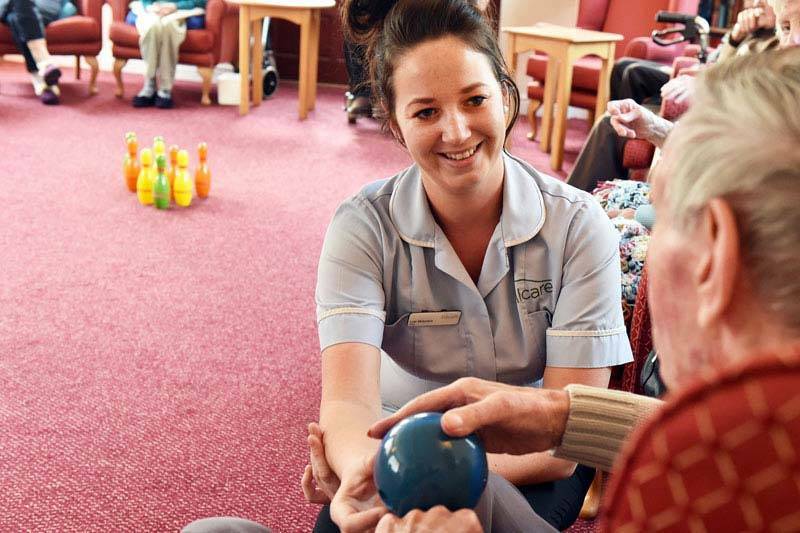 Closely situated to Runcorn shopping centre, the local cinema, swimming baths and the theatre, Simonsfield Dementia & Residential Care Home is ideally placed to offer a fantastic level of care to our residents. Our purpose built, modern home has recently been refurbished and is located in a residential, town location which is opposite a school. 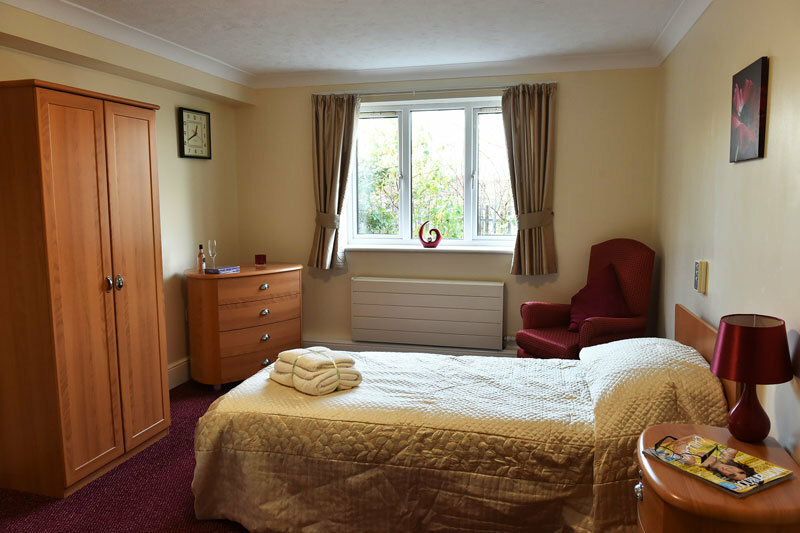 Simonsfield Residential Care Home offers 63 private bedrooms, all of which include en-suite facilities. All of our bedrooms also include TV aerial sockets as well as phone sockets for residents to use. Of course, all our bedrooms are wheelchair accessible and there are nurse call systems in all rooms. We give our residents the option to bring in items of their own furniture, to give their new room more of a homely feel. Newspaper orders and deliveries are taken daily here at Simonsfield Dementia Care Home which lets our residents keep up to date on current affairs the old fashioned way. Onsite, we have a car park which can be used by our visitors when they want to come and see their relative/friend. We also give our residents the option to keep their own GP if they’re within the district. Here at Simonsfield Residential Care Home Cheshire, we feel it’s important to ensure all our residents are happy at meal times; therefore, we offer a choice of two meal options so no-one is left disappointed after a meal. We cater for any cultural and dietary needs at Simonsfield, as well as catering for any celebrations of our residents. 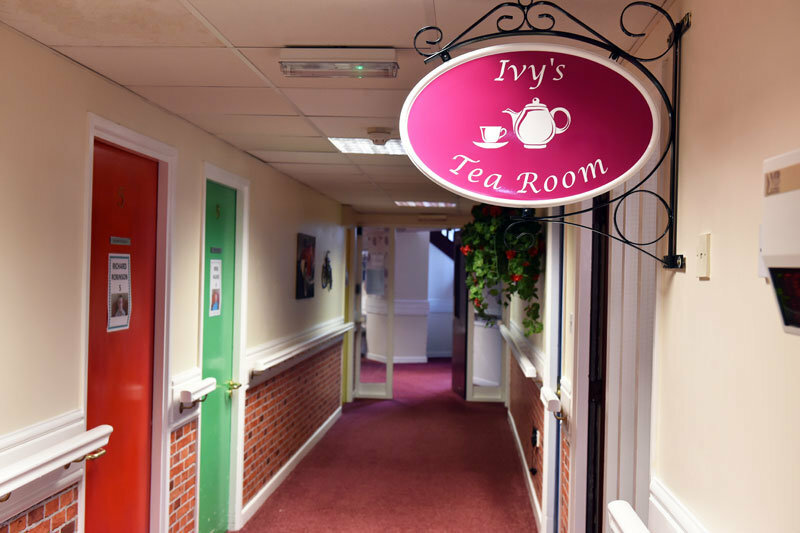 Our meal times are completely protected and we offer fresh snacks, fruit and refreshments around the home 24/7 so residents always have something they can have in between meal times. We respect our residents’ privacy and give them the option to have their food in their room if they just want a quiet meal in their own room. With a variety of communal areas, including spacious lounges and dining areas, residents can enjoy different environments based on how they feel. We always encourage socialising between our residents but we also understand that, sometimes, having some time on their own is just what they need. This is why we offer a quiet lounge as well as communal lounges, so residents can enjoy their days however they wish. 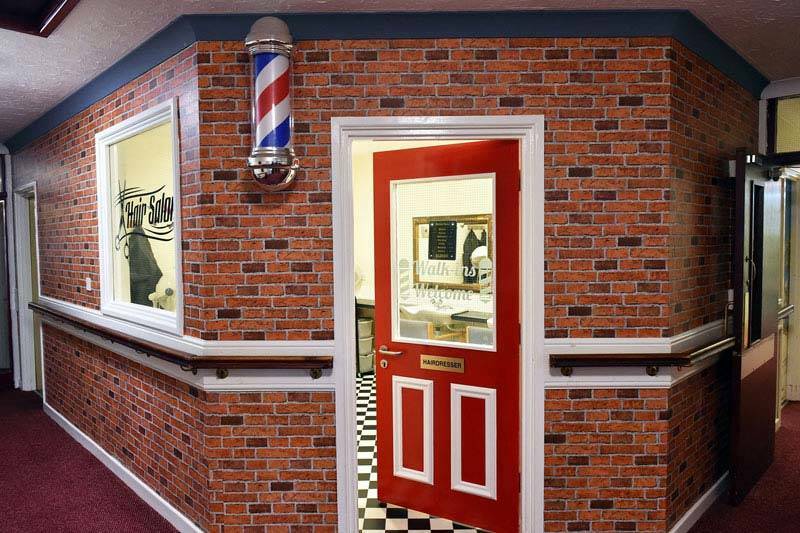 At Cheshire Care Home, we also have our very own hair salon, meaning our residents can have their hair and/or nails done in the comfort of their own home. 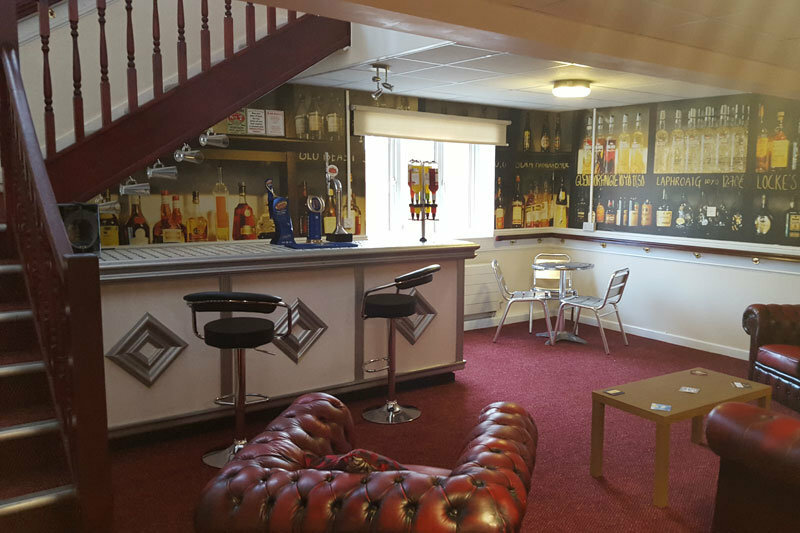 As well as this, we also have our own tea room and a bar for residents and their visitors to take advantage of. Our kitchenette is free for the use of our residents and their friends and family who may come to visit them in the home. 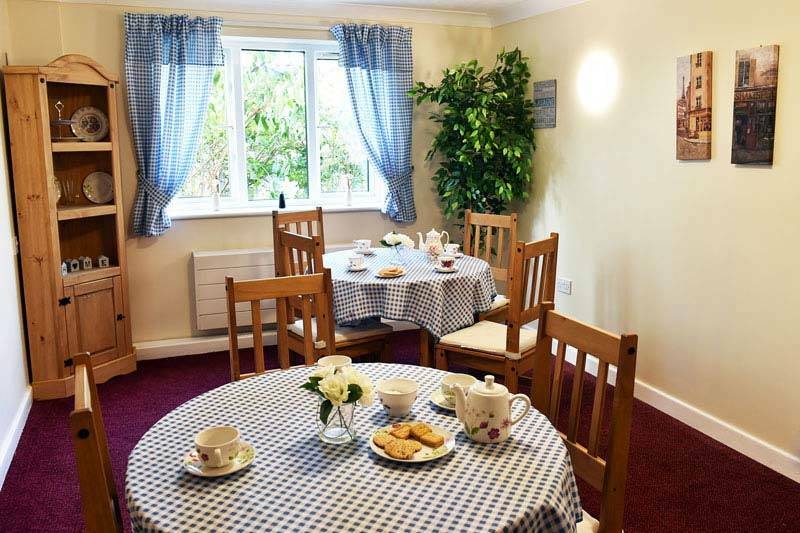 Our home also includes a relatives room and an activity room where residents can enjoy themselves in the company of others who are taking part in activities. Simonsfield also boasts its own cinema room which provides a variety of films available throughout the day giving residents the opportunity to watch a movie on the big screen. For those warm summer days, our patio area is a great way for our residents to enjoy the sun and our meticulously maintained gardens. We also provide the space and tools for our residents to grow their own fruit and vegetables on site which is something that most of our residents enjoy doing. If our residents just wish to relax in our lawned, enclosed garden, we have comfortable seating areas and wheelchair access so everyone can enjoy the outside. Simonsfield Residential Care Home in Cheshire also offers a wide range of ongoing activities for our residents to enjoy and remain stimulated.